With an increase in demand for state agents to fight expanding feral swine problems, Oklahoma’s Wildlife Services Division view the situation as both bad news and good news. Wildlife Services assistant state director Scott Alls says that the increased demand shows there’s more awareness of public services to fend off feral swine, but also the animal’s population seems to continue growing. 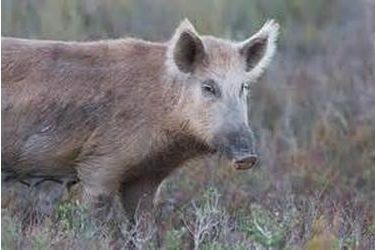 According to a Wildlife Services report last week, the Division killed 44 percent more feral swine in 2016 than in the previous year. The Division kills the pigs by shooting from a helicopter, trapping with pens and night shooting with thermal imaging. Feral swine are a growing invasive species inhabiting all counties in Oklahoma. Alls says the animal will likely continue to be a problem for agriculture, homeowners and Oklahoma wildlife.